Does your business ramp up or down over Christmas? Do you promise family (or yourself) that you will take a break, but end up on the phone or online more days than not? Regardless of whether festive season is busier or quieter for your business, the key to managing customer and family expectations is preparation. A plan will take the stress out of the weeks leading up to Christmas, allowing you to recharge the batteries without interruptions, or nagging thoughts about what you didn't do. And you'll be fresh, stress-free and ready for action in the new year. There are only six weeks until Christmas. So make time and space or extra pressure will build as December disappears faster than the mulled wine at your Christmas party. That can lead to poor decisions, with impacts felt long into the new year. Developing your plan early will also instigate staff Christmas leave talk - a precursor to many other decisions that need to be made. If you've developed a Christmas plan previously, re-use the structure to speed up the process. Perhaps delegate one person to draft the plan, prior to broader review and agreement. You may well be using email automation already. If not, and you're winding down at Christmas, you'll want to enlist its help in the illusion of being actively open for business. At their simplest, automation systems can be used to send timely newsletters, product reviews, sales reminders, incentives and rewards. A more complex automation system can segment your customers based on their actions (e.g. purchased a product) and send a personalised email relevant to that action. It's a simple task to write blog and Facebook posts ahead of time, and schedule for publication throughout the Christmas lull. Facebook will even respond to any messages received on your page if you've set-up the Response Assistant feature. If your business heavily employs social media to get attention, then short of having staff work over the break, pre-scheduling (and cross-pollinating across social channels) will keep your brand active. Christmas is often a great time to pursue new customers and boost sales. If your business ramps up, you'll want to be in a position to maximise the Christmas effect, whether its on-foot or online traffic. The Australian Retailers Association and Roy Morgan Research announced an expected consumer spend in excess of $48 billion between November 15th and December 24th in 2016. And even higher this year. So, how can you maximise your reach, and pull, during the season of biggest spending? A comprehensive plan will give you the confidence to step away from your business to celebrate Christmas with loved ones. 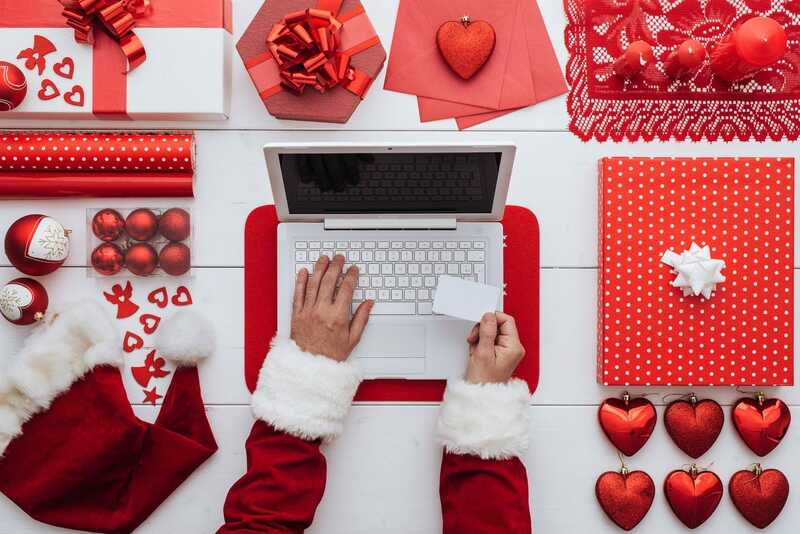 But more than that, forethought and automation will ensure your Christmas campaign is the gift that keeps on giving well into your family holiday. If you need some help ensuring your best laid Christmas and new year plans come to fruition, your local Snap Centre experts can look after all your design, printing and marketing needs.